If you are looking to refurbish your kitchen or bathroom but don’t have the funds for a full replacement, then tiling is a great way to refresh your space and give it a contemporary new look. Tiles range in price from affordable to high end, luxury tiles so you can choose a design which suits your budget and it also means that there are certainly lots to choose from. If you are looking for a focal point in a kitchen, then why not opt for mosaic tiles? Our expert tilers Taunton have years of experience in the installation of tiles of all shapes and sizes so we can accommodate even the most complex design requirement. We are based in Taunton and cover all of Somerset, Devon, Dorset, Wiltshire and Gloucester. We will of course consider further afield, please contact us to discuss. Some of the areas we’ve completed work in: Bristol, Exeter, Taunton, London, Bridgwater, Chard, Somerset, Clevedon, Frome, Glastonbury, Keynsham, Midsomer Norton, Minehead, Radstock, Shepton Mallet, Street, Bath, Weston-super-Mare, Yeovil, Bruton, Chard, Crewkerne, Dulverton, Ilminster, Langport, Portishead, Somerton, South Petherton, Watchet, Wellington, Wincanton, Yeovil, Ashburton and Buckfastleigh, Axminster, Barnstaple, Bideford, Braunton, Cullompton, Crediton, Dartmouth, Dawlish, Exmouth, Great Torrington, Holsworthy, Honiton, Ilfracombe, Ivybridge, Kingsbridge, Lynton and Lynmouth, Moretonhampstead, Newton Abbot and Kingsteignton, Okehampton, Ottery St Mary, Seaton, Sidmouth, Tavistock, Teignmouth, Tiverton, Totnes. Beaminster, Lyme Regis, Weymouth, Wimborne, Bridport, Chickerell, Christchurch, Dorchester, Ferndown, Gillingham, Highcliffe, Sherborne, Stalbridge, Sturminster Newton, Verwood, Wareham, Amesbury, Bradford on Avon, Calne, Chippenham, Corsham, Cricklade, Highworth, Malmesbury, Marlborough, Wiltshire, Melksham, Wiltshire, Royal Wootton Bassett, Swindon, Tidworth, Tisbury, Wiltshire, Trowbridge, Warminster, Westbury, Wiltshire, Wilton, Wiltshire, Berkeley, Bradley Stoke, Cheltenham, Chipping Campden, Cinderford, Cirencester, Coleford, Dursley, Fairford, Filton, Kingswood, Lechlade, Lydney, Minchinhampton, Mitcheldean, Moretonin- Marsh, Northleach, Patchway, Stonehouse, Gloucestershire, Stow-on-the-Wold, Stroud, Tewkesbury, Thornbury, Winchcombe, Wotton-under- Edge, Yate. Whatever your tiling requirement, whether it is a tiling installation, tiling repair or simply re-grouting or re-sealing, we have a highly skilled tiler Taunton to deliver exactly what you require. 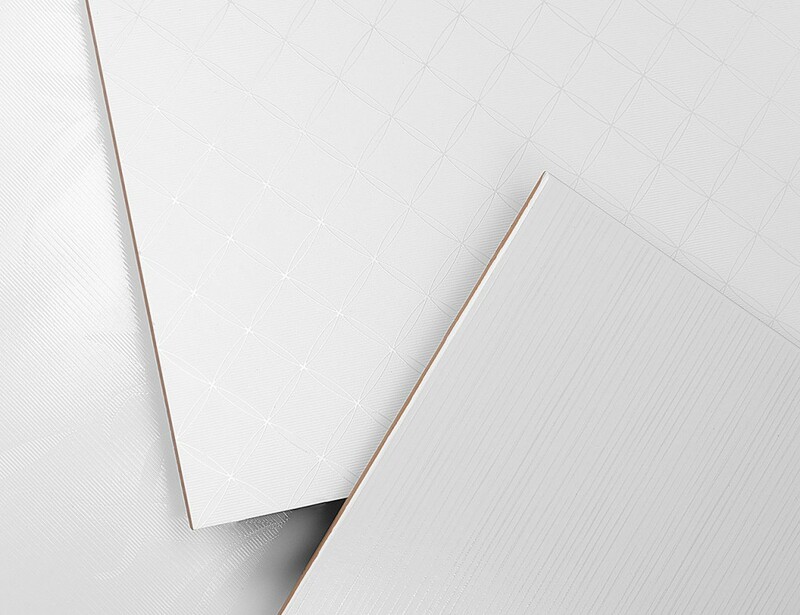 Why not contact DY Tiling today or explore our tiling services below in more detail to learn more about the tiling services that we provide – click the + to expand. Glazed tiles are ideal for placement on walls but they can also be installed as floor tiles with an added anti-slip formula. If you are looking for tiles to use as flooring, we always recommend a good quality ceramic tile particularly if it is to be used in a high traffic area such as a hallway or entrance. As with all of our tiling services, we work extremely hard to provide our customers with the very best tiling Somerset and Taunton and we have received a great deal of our work directly through personal recommendation which is testament to our commitment to providing the best tiling products and services that we can provide. If you would like to discuss about the possible installation of ceramic tiles in your home or workplace, or just to enquire about which type of tile will best suit your needs, contact DY Tiling today and we will be happy to help with all of your tiling Taunton requirements. DY Tiling are able to provide tiling solutions for a variety of purposes and porcelain tiles are just one of the products that we both supply and fit if required. 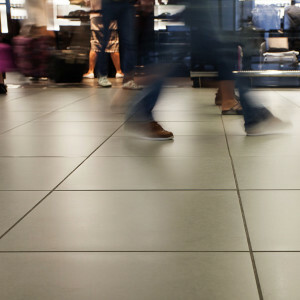 Porcelain is a much more durable tile than other materials such as ceramic and is usually placed in hard wearing areas such as corridors or entrances in hotels or corporate buildings. As well as being strong, porcelain looks great too which is why it is the preferred choice of many hotels and businesses. We have years of experience in the installation of porcelain tiles and we are able to use our expertise to evaluate your space whether it is at home or for your business and offer recommendations as to which tiles will work best. We have an established network of suppliers so you can rest assured that you will receive top quality products and we never compromise on quality either. 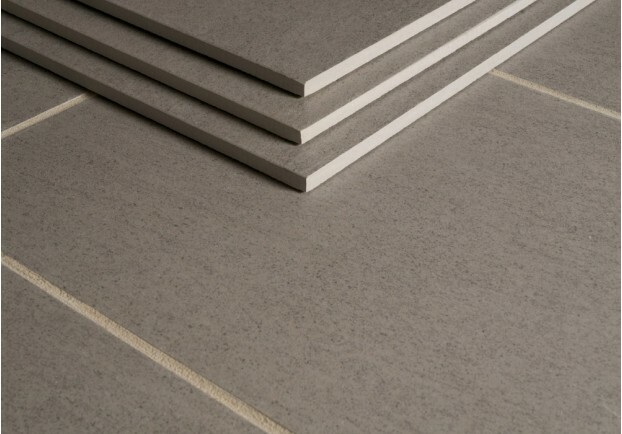 Porcelain tiles are great because of their ability to replicate a variety of surfaces including concrete or stone so if you are looking for a particular effect, then why not contact us to discuss your requirements. 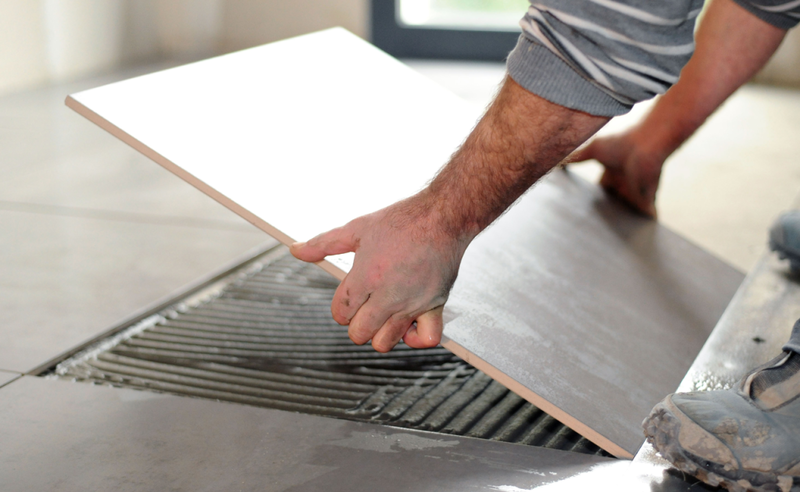 Installing tiles is one of our specialties as we have years of experience in supplying and fitting all types of tiles whether it is on a floor or a wall; indoors or outdoors. We also source some of the most affordably priced porcelain tiles but they are still of the same high quality that we want them to be and that customers expect. 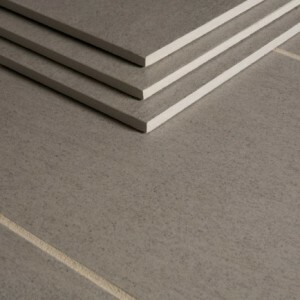 Whatever your requirement for porcelain tiles, we are able to help. Contact us today to explore your options and see how we can transform your home or workplace. 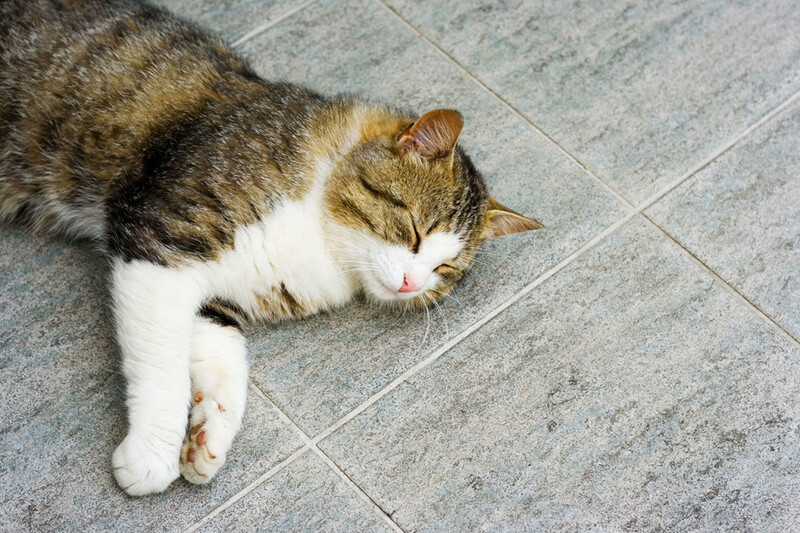 Are you considering the prospect of natural stone tiles in your home or place of work? If you are then DY Tiling can help as we can supply and install natural stone tiles. We are a leading provider of quality tiling services and have many years experience in the installation of natural stone tile designs in numerous residential and commercial properties. We take a great deal of time and care over choosing our suppliers so that we can guarantee the highest quality to our customers. In addition to this, we work with meticulous attention to detail, only using the best tools and techniques to ensure that your tiles are installed with precision. We aim to install tiles which not only look great but which will last for years to come. Many people would say that natural stone is the best choice when it comes to tiles which is why it is one of our most popular choices at DY Tiling. 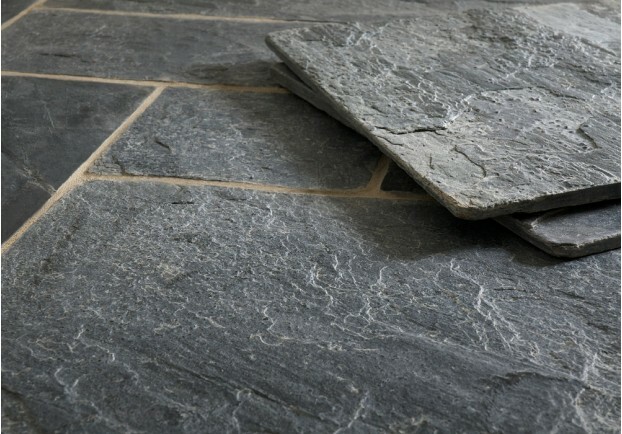 Natural stone does require a certain degree of maintenance over time to keep it in tip top condition (as do most floor coverings), but if you look after them correctly, there is no reason why your natural stone tiles cannot last for hundreds of years. 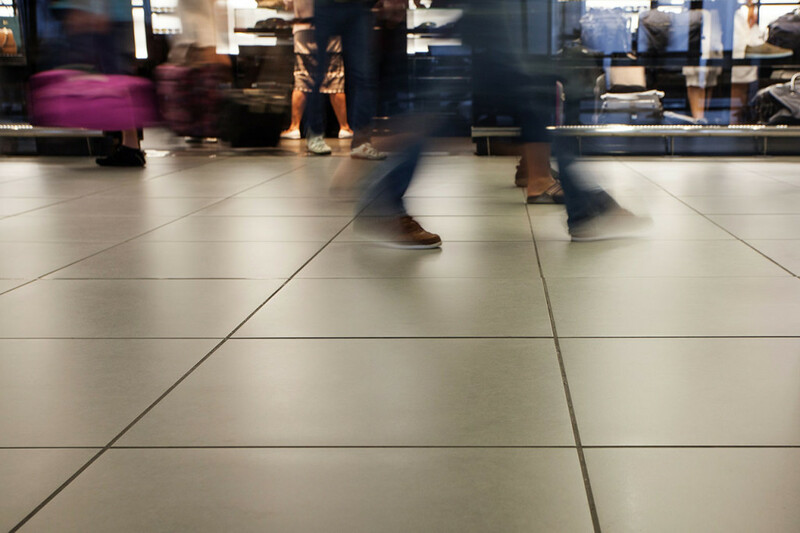 The natural stone itself is derived from naturally occurring substances which mean that it is durable and can withstand high traffic areas such as hallways, corridors and entrances if it is to be used as flooring. Natural stone’s colour, texture and pattern is completely random, this is the point of natural stone and is a characteristic that tile manufacturers spend a lot of time and money on trying to copy. Examples: Limestone: creamy white appearance. Travertine: a form of limestone with darker shades of beiges, creams, and browns. 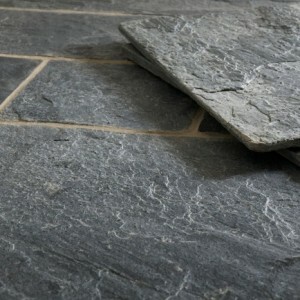 Slate formed over many years from volcanic ash to produce very durable dark stone and earthy colours. Marble: crystal structures producing almost translucent appearance giving a pure luxurious look. Granite: a form of harder stone. Among these types of natural stone are thousands of varieties with characteristics that depend on where and when the stone was quarried. Variations of natural stone finishes include: honed: this is where the surface has been filled to lose its hole appearance and ground to a smooth surface. 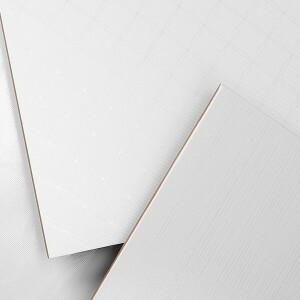 Riven: this is where the surfaces are irregular as the material is split by hand. Polished: this is where the surface has a layer of gloss and polished to create that shiny look. If you would like to discuss the possible installation of natural stone tiles in your home or work place, simply contact DY Tiling today for advice and a free no obligation quote. Mosaic tiles are a great way to create a focal point in your kitchen or bathroom whether they are applied to a wall or incorporated into the flooring. Not only are they a great design feature but they are also really versatile too; you can choose to apply them to a whole wall or just a small area in them, whatever your requirements they are perfect for any space. In rooms that are prone to moisture damage, such as bathrooms and kitchens, tiled walls and floors can offer you a robust and durable surface which can withstand water, general wear and tear and resist scratching or staining. They also come in a broad range of colours and styles, so the choice is endless when it comes to selecting the tiles for your design. Mosaic tiles are also a convenient solution for outside and if you are lucky enough to own a pool, they are a practical solution and can add interest to your pool. Whether you are just looking for a select few Mosaic tiles for a feature or you wish to tile an entire floor or wall area, we can easily accommodate your requirements. Simply let us know what you need and we will do our very best to source the exact tiles that you require. What’s more, our mosaic tiling is extremely affordable, so we will certainly have something to suit every budget. Mosaic tiles are tricky to install and benefit from professional fitting; our experts can visit your premises to complete the complex installation work for you. As there are so many different solutions available with mosaic tiles you can be as creative as you want to be, and with a huge range of colours and finishes the possibilities are endless. With a range of mosaic tiles for indoor or outdoor use, why not contact DY Tiling Taunton and discuss your mosaic tiling requirements today? Floor tiles are a great way to give your room a boost and as they are available in many different textures and finishes, you are certain to find something to suit your personal taste. Tiles are typically found in kitchens, bathrooms and utility spaces as they are hard wearing, waterproof and are often available with a non-slip finish. What’s more they are extremely easy to clean and don’t fade or wear like Lino or laminate. DY tiling are specialist providers of tiling Taunton and we offer one of the most wide-ranging selection of tiles that you can find. Our tiles are sourced from the very best suppliers and are constructed from quality materials. If you want floor tiling for your bathroom we can provide an extensive selection of tiles to choose from and you can choose a type to suit your overall deign theme and colour. If you would like to you can even continue the tiles from the floor onto a single wall or all walls as they are an excellent choice for placement in the bathroom. If you would like a bold, bright colour or a subtle design, we can offer a wide range of tiles to suit all tastes. Tiles are perhaps one of the most versatile choices when it comes to floor coverings as you can mix and match to create an impressive design. What’s more even if you are on a restricted budget we can offer a variety of affordable tiles to suit your requirements perfectly. DY Tiling do not just provide tiling services for residential customers; we have been working with commercial clients for a number of years now and we have completed floor tiling projects for many businesses. We can accommodate large volume business orders as well as those for small domestic projects. The installation of tiles can be difficult, but with our tilers Somerset, we can deliver a comprehensive installation service. DY Tiling has an excellent reputation for expert tiling Taunton, so get in contact and start your tiling project with us today. If you are looking for a change in the decor in your kitchen or bathroom or even hallway why not opt for tiles as they are easy to clean, waterproof and hardwearing. They are an easy way to transform your living space as they come in a range of colours and finishes to suit every requirement. Tiles have been associated with the kitchen and bathroom but with advances in technology it is now possible to have tiles in almost any living space. Wood effect tiles are an ideal choice for a living room or entrance to your home and they can even be installed in dining areas too, the possibilities are endless. Wall tiles are a convenient way to decorate and they are the perfect solution for small areas such as a splash back or they can be used to cover entire walls. We can offer a broad range of tiles from the complex, elaborately designed styles to the more straightforward design. From the kitchen to the bathroom we have a vast selection of tiles to choose from. It is also possible to purchase bold feature tiles too, ideal if you are looking to make a statement or add a bit of interest to an otherwise plain wall. If you are looking for a professional tiling company to take care of your tiling project, DY Tiling can meet all of your tiling requirements. 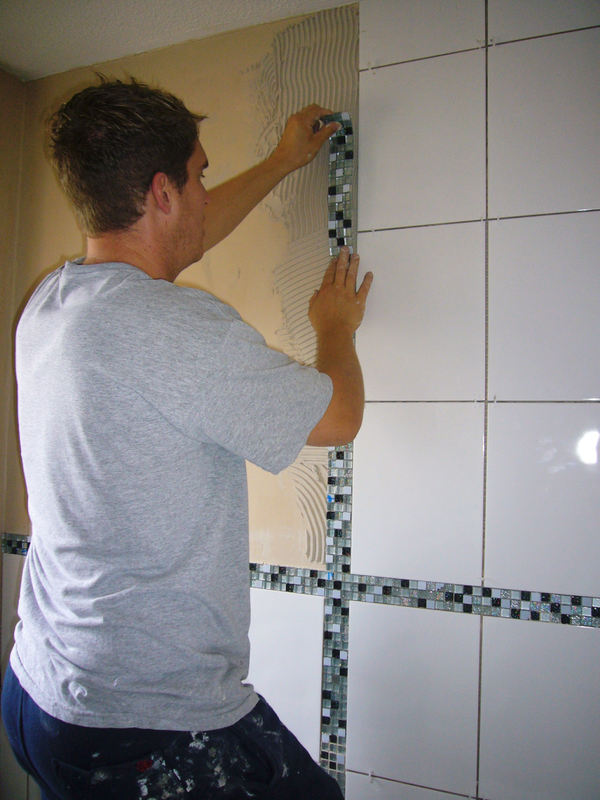 We have built up a loyal customer base and offer skilled tile installers to complete all of your tiling projects. 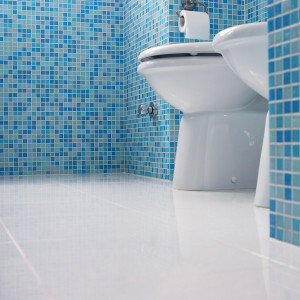 DY Tiling Taunton has been working with both commercial and residential customers for a number of years and we approach each project with the same care and attention to detail. We have contributed to numerous housing development tiling assignments, completing kitchen and bathroom tiling work. Each project we undertake is completed to our exacting standards and we pride ourselves in the provision of excellent customer service. Our expert team of tilers Taunton have many years experience in the trade and bring with them the skills, tools and techniques to complete a first class tiling project. The work we have completed at DY Tiling has certainly been diverse, from large, complex domestic tiling projects through to small residential kitchen or bathroom tiling. We are specialists in the installation of mosaic tiles, wet rooms, under floor heating systems and sealing as well as cleaning and mould removal. DY Tiling also provide tile restoration services so if your tiles are looking a little tired and have lost their sparkle, trust us to completely transform your tiles so they are looking like new. 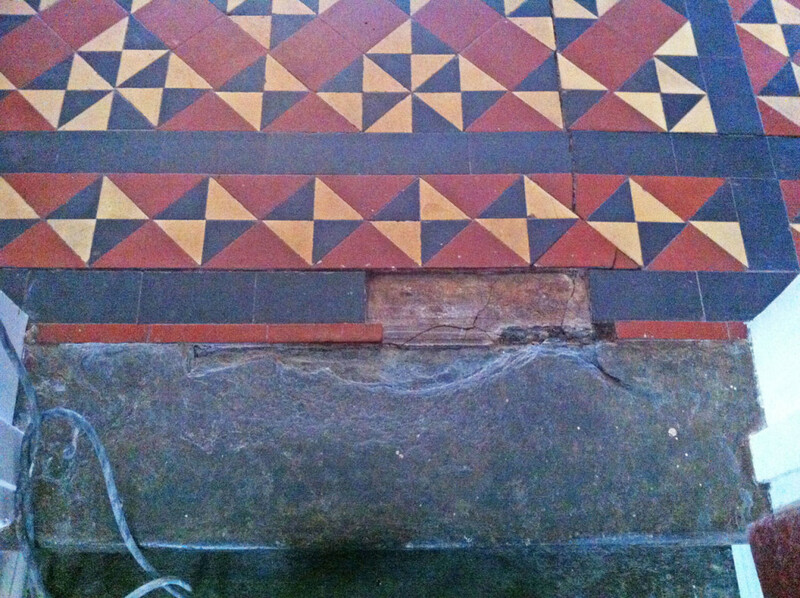 We also carry out painstaking restoration work of Victorian tiles so no matter what your project, why not contact our expert team today to discuss your tiling Taunton requirements in more detail. DY Tiling is a leading provider of tiling services to commercial clients working across a diverse range of industries and we are fully committed to providing the highest quality tiling services that we can deliver. We have the team, tools and tiling knowledge to work with you to complete a broad range of tiling projects, whether its flooring, the application of wall tiles or a feature element, we will be able to advise you on what will work best for the space you have available. We work very hard to identify practical solutions to address your design requirements and our dedication and commitment to tiling has resulted in us becoming a preferred tiling provider for many commercial customers throughout Somerset, Taunton and the surrounding areas. We establish effective communication channels from the outset, keeping you fully informed of progress, timescales and always deliver projects on time and within budget, regardless of any problems that we may encounter along the way. From the initial consultation, we will work with you at every phase of the project ensuring that you are completely happy with the work being carried out. We will also use our experience and knowledge to provide you with recommendations and advice where necessary. We can complete contract work of any value for any length of time from a day to a year. Our extensive knowledge of the tiling industry combined with our first class project management skills will ensure that we deliver a seamless tiling project which not only meets, but surpasses your expectations. Why not contact DY Tiling today to see how we can facilitate your commercial tiling project? DY Tiling are professionals when it comes to the installation of attractive and practical outdoor tiles and we take care of the full process from laying the foundations through to tile installation and finishing. 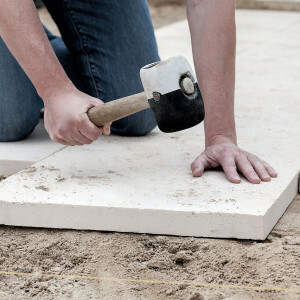 Installing outdoor tiles/patio slabs is certainly not a straightforward task so it is important that you use the services of a professional and experienced company to complete the work for you. 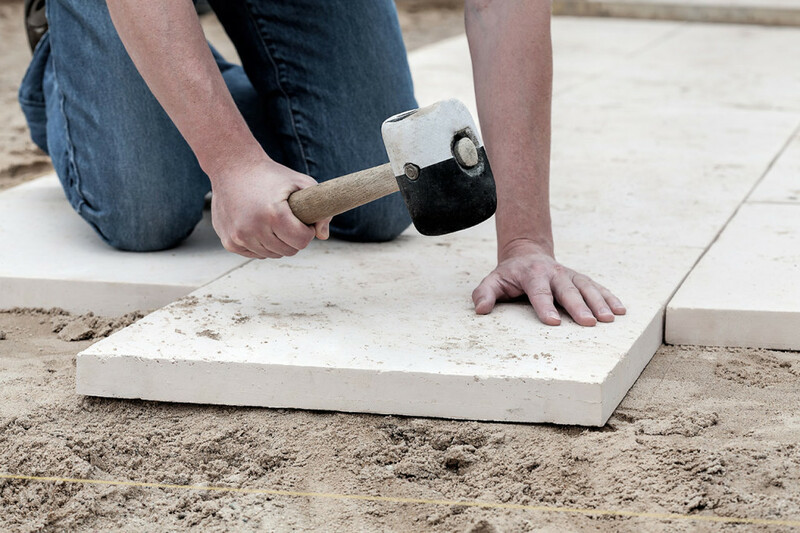 In order for the tiles to be installed correctly, it requires specialist knowledge to prepare the ground, lay foundations, install insulation if necessary and then laying the final tiles. 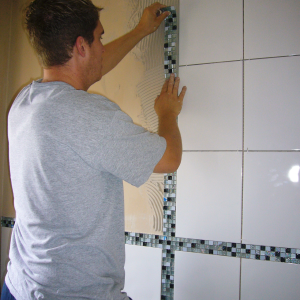 Here at DY Tiling we have a proficient team of tilers to complete the work for you. We work with precision and meticulous attention to detail to give you an impressive outdoor area which is long lasting and correctly installed. We will work with you from the initial stages of selecting tiles right through the installation process and then after completion, providing you with top tips to keep your patio in optimum condition in all weathers. If you are looking to transform your outdoor space, why not contact DY Tiling today as we will be able to survey your outdoor space and offer comprehensive recommendations as to what will work best for the available space and budget. Your bathroom should be a practical yet appealing space but it is really important that it is adequately waterproofed. Failure to do this can result in an array of issues from mould and mildew to more serious, costly structural issues. 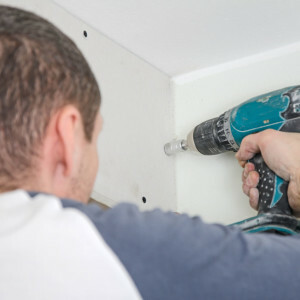 The best way to avoid water and condensation damage in your home is with our bathroom waterproofing solutions delivered to you by DY Tiling Taunton. 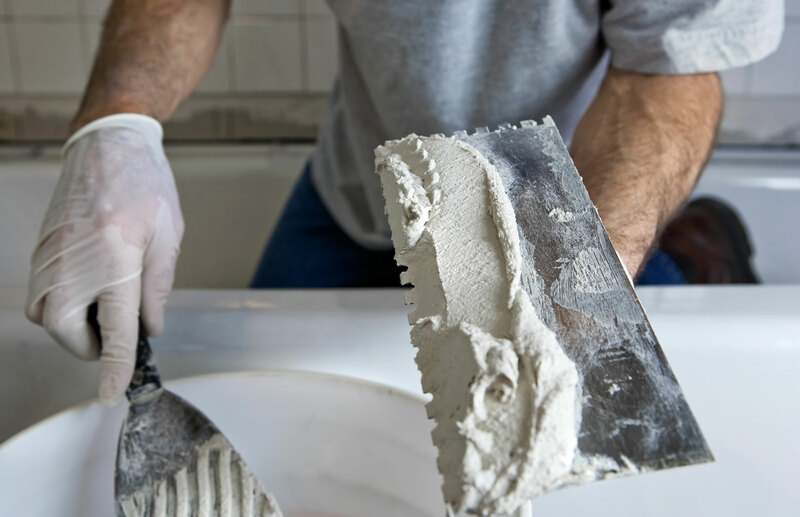 We have years of experience in the application of waterproofing solutions to both residential and commercial bathrooms and internal wet areas, our workmanship, service and competitive prices simply won’t be matched by our competitors. Our professional team at DY Tiling Taunton use the latest technology combined with the classic techniques and innovative approach towards waterproofing products and membranes to ensure that your home can resist water damage, which is so often prevalent within a bathroom for many years to come. As we have been working with tanking and waterproofing systems for many years, we are able to issue comprehensive advice to customers and recommend when having such a system would prove to be extremely beneficial. We are specialists in waterproofing all types of internal spaces that are prone to water damage, condensation or overflow. We happily undertake projects of all sizes, and are extensively experienced in waterproofing large areas and even commercial wet areas with specific requirements. We’re looking forward to talking to you about your tanking/waterproofing needs for your upcoming renovation or commercial project. For more information, call us today. 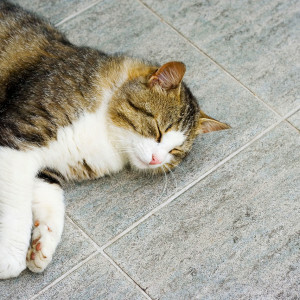 Before you commence any floor tiling project, it is imperative that the surface underneath has been adequately prepared. Failure to do this can have disastrous consequences when the tiles are applied resulting in an uneven finish or lifting which is certainly something you don’t want. 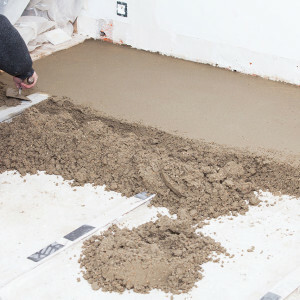 That’s why at DY Tiling we are not only specialists in the installation of tiling, we also provide floor levelling or screeding services so you can rest assured that the floor underneath is suitable for the installation of your new floor. We will ensure that your floor is completely level and will enable us to deliver a flawless finish to your floor once the tiles have been installed and the finishing touches applied. On occasions we encounter a floor which has already been concreted or screeded but it is still not suitable for us to complete the tiling work to a high standard, we can apply levelling compounds to ensure that the floors are suitable before we begin installing any tiles. 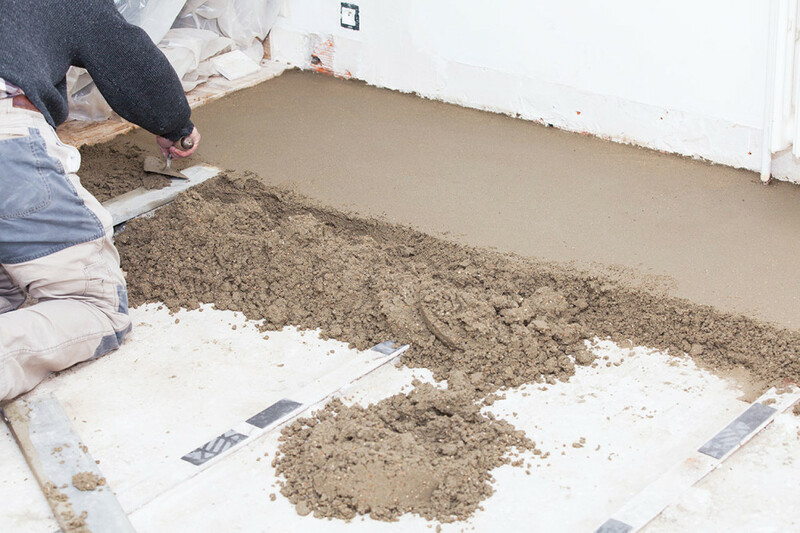 If you would like to discuss our screeding or levelling services as part of your tiling project, simply mention it to our team when they visit to provide you with a quote and it can be included as necessary. If you are looking to refresh your existing tiles, why not opt for a simple tile and grout cleaning solution. We also offer an in-depth stone sealing and cleaning service too. Our team will carry out the work using the latest tools and techniques to gently remove mould, mildew and embedded dirt to restore your tiles so they look like new. We will work carefully to ensure that the cleaning is complete but the tiles or surrounding area are not damaged in any way. 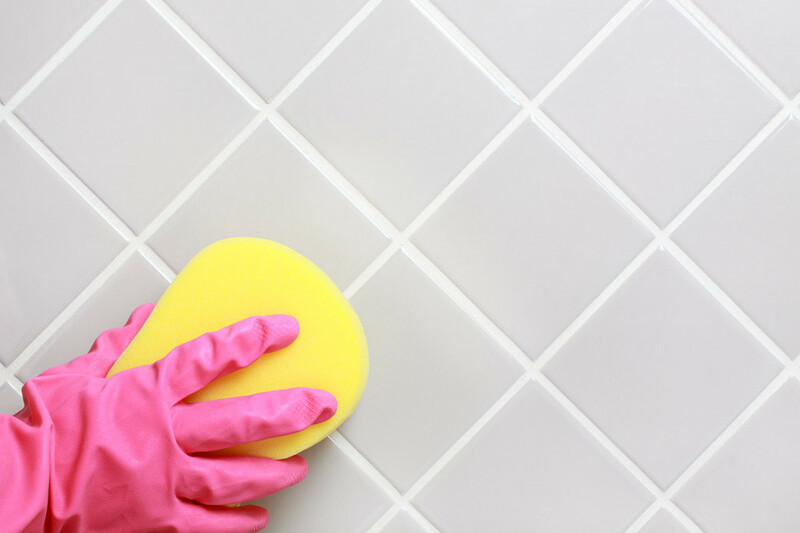 Furthermore, we can also provide a range of tile and grout cleaning solutions if you would like to carry out the cleaning work and maintenance yourself. In addition we provide a range of natural stone, tile and grout sealing products which not only gently clean tiles but also protect them for years to come. Water can cause a significant amount of damage if your tiles are installed in a bathroom, kitchen or area where it is prone to water spillages if it isn’t waterproofed or sealed correctly. 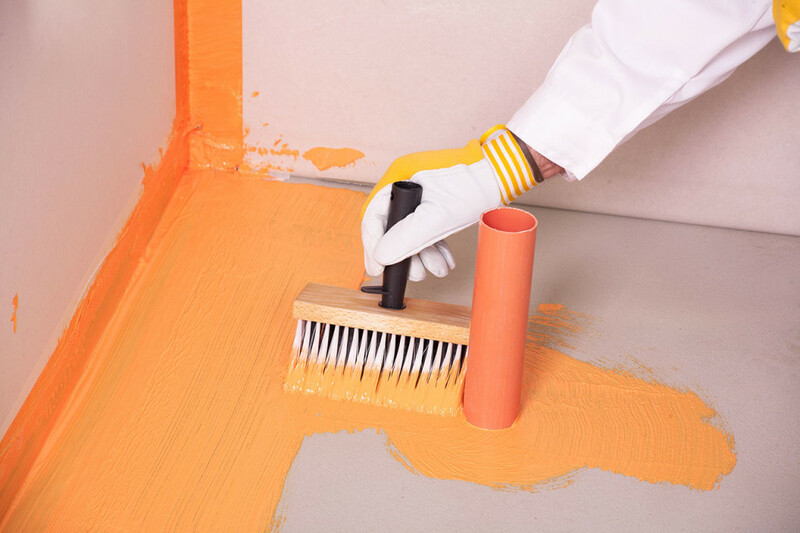 Here at DY Tiling, we only use the highest quality sealants, which include polyurethane, silicone, anti-fungal, and fire rated urethane, combined with the highly skilled application by experienced tradespeople gives you a quality lasting finish. 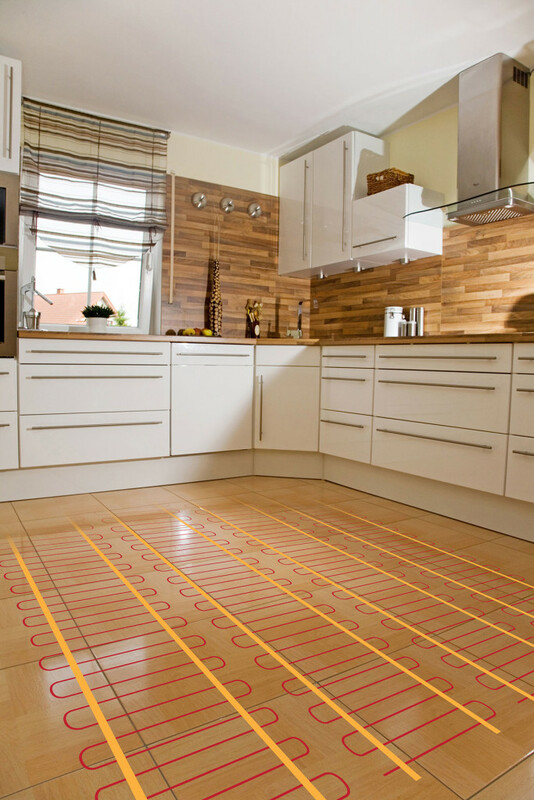 Underfloor heating is often considered a luxury but it really is an affordable and practical solution to give your home an extra special feature. 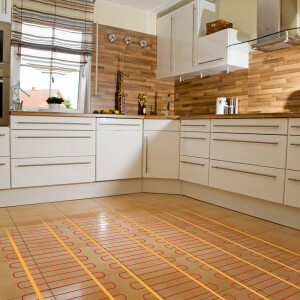 We are experts at installing under floor heating systems and will complete the work with minimum disruption. If it is something that you are considering but are not sure about the implications, please contact us and one of our team will visit your home and discuss the options that you have available. This is an innovative design and specialist solution specifically for tile and natural stone installation. 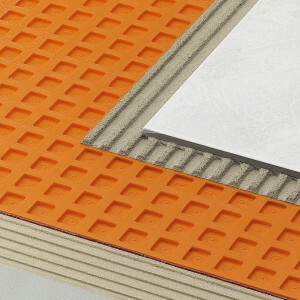 DITRA Matting is ideal for complex floor substrates such as: Anhydrite, Gypsum or Calcium Sulphate, it serves as an extremely effective waterproofing solution, through the addition of a special layer to absorb moisture which can often occur on the substrate and create significant problems after tiles have been installed. 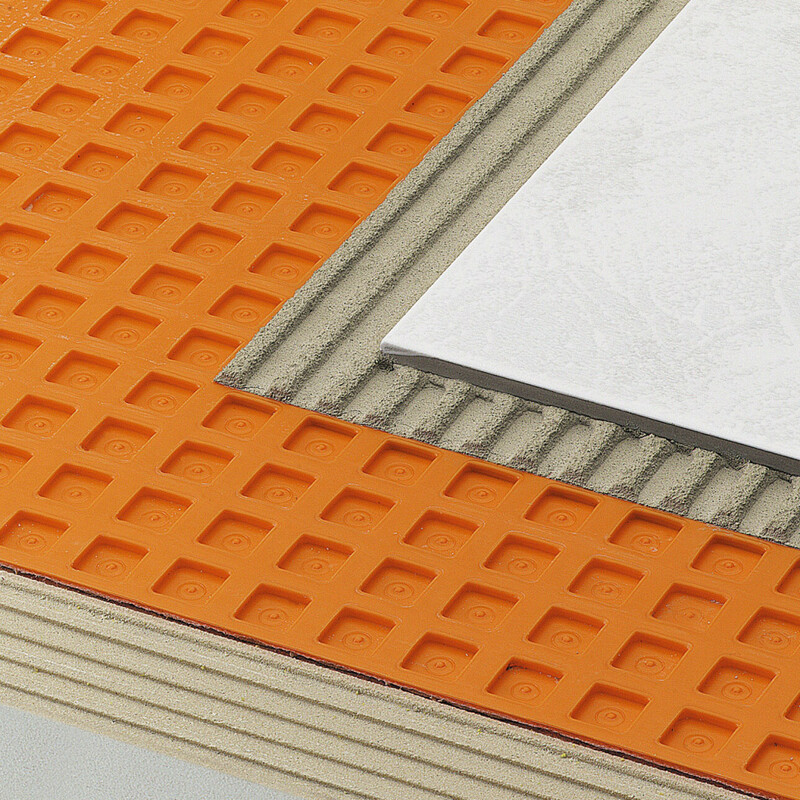 The polyethylene layer installed underneath the tiles are constructed of small square cavities containing minute air channels that provide much needed ventilation, which enables any moisture that may gather to gradually dissipate. This solution is ideal for flooring installed on calcium sulphate floors or rooms including bathrooms or kitchens. We have many years experience in the installation of DITRA matting and we can visit your premises and provide you with a detailed quote for this and also the installation of your tiles. 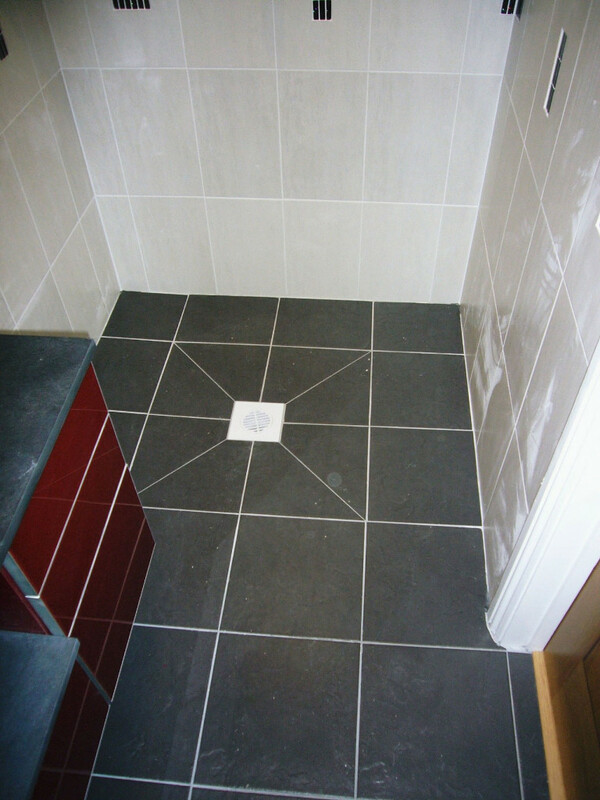 If you are looking to have a wetroom installed, then it is absolutely essential that the tiling phase of the installation is carried out correctly. 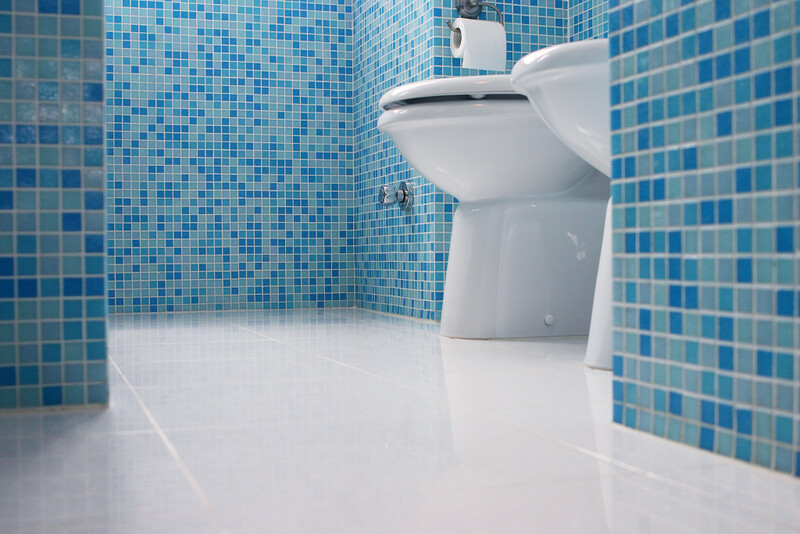 Our team of Taunton tiling installation specialists can complete the tiling and sealing process to ensure that your tiles will last for many years to come. 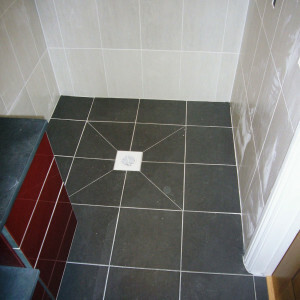 A wetroom is a great space saving solution but it is really important that the tiling is completed accurately. 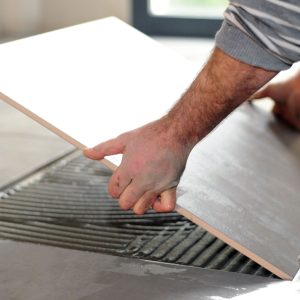 We will ensure that your tiles are expertly installed and most importantly thoroughly sealed, so you can enjoy your new wet room without having to worry about broken seals on tiles or leaks which can cause a multitude of problems. Our wet rooms Taunton installation service ensures that your wetroom is completed to a high standard with your requirements and budget in mind. Here at DY Tiling, we not only provide exceptional quality tiling services, we also ensure that our prices are competitive, so if you are not sure whether you can afford to have a wetroom installed, why not contact us for a free quote and see how affordable our wetroom tiling installations can be? 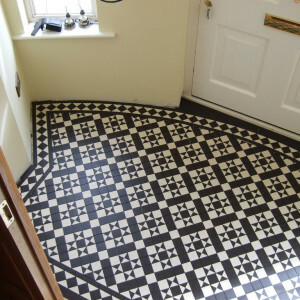 If you are looking for something a little different, or perhaps opting for a vintage theme in your home, DY Tiling Taunton offer a comprehensive Victorian or Edwardian tiling service. 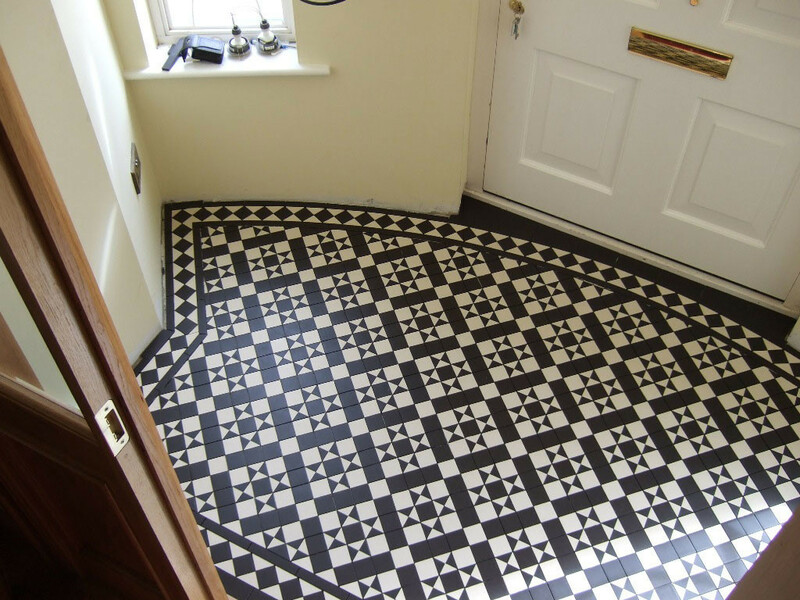 We can undertake all kinds of tiling projects from complete installation of new floors which look extremely authentic to the cleaning, restoration and repair of old tiles. 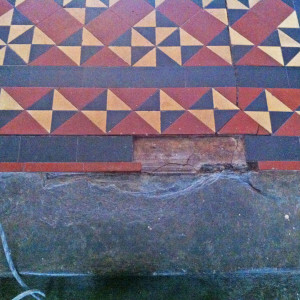 Complete restoration and repair work for mosaic tiles to completely transform your existing tiles so they look as new. Replacement of missing or damaged tiles obtained from salvaged mosaic tiles which we can source from our network of specialist tiling suppliers. The completion of cleaning, sealing and polishing work on a mosaic floor, entrance, hallway or outdoor area. 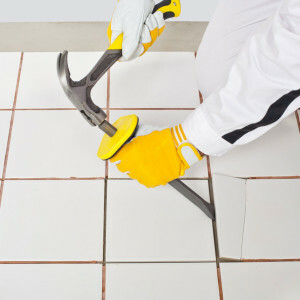 Repairs to minor cracks on existing tiles or the completion of repairs on loose tiles. The above services are just a few of what tiling services we can provide, so if there is something that you require not listed, please contact us and we will be happy to help. There is nothing more unsightly than a damaged tile. Occasionally tiles can loosen or they become damaged causing chips, cracks or even whole sections of the tile to disintegrate. DY Tiling will carefully remove the broken or damaged tile and replace it with a match, ensuring that the surrounding area is re-grouted and finished to look like new. 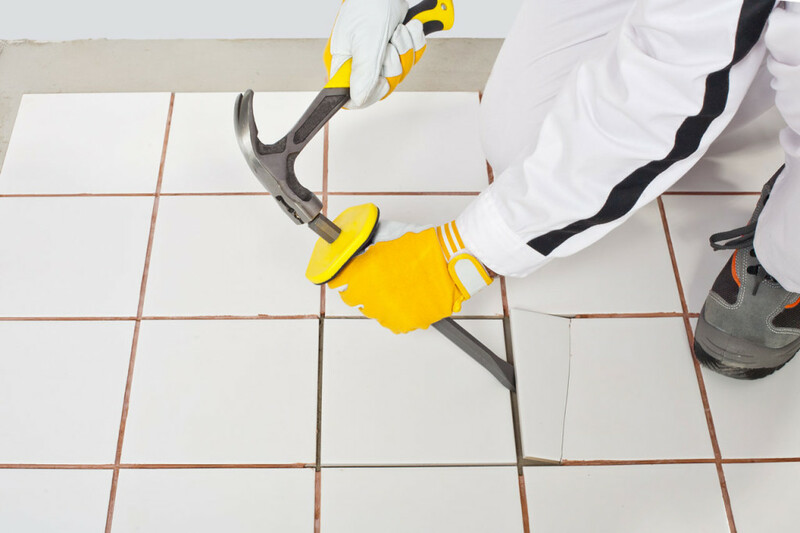 No project is too large or too small and we can provide tiling repair services which mean that you don’t have to replace entire sections which can result in costly and lengthy replacement work. Perhaps you already have an area tiled in your home, whether it is in the kitchen, bathroom or another area and you would like the tiles removing? If so, then why not contact DY Tiling who can complete the removal work for you. We will work carefully and quickly to remove and dispose of your old tiles so all you have to do is to think about design ideas for your new wall or floor. 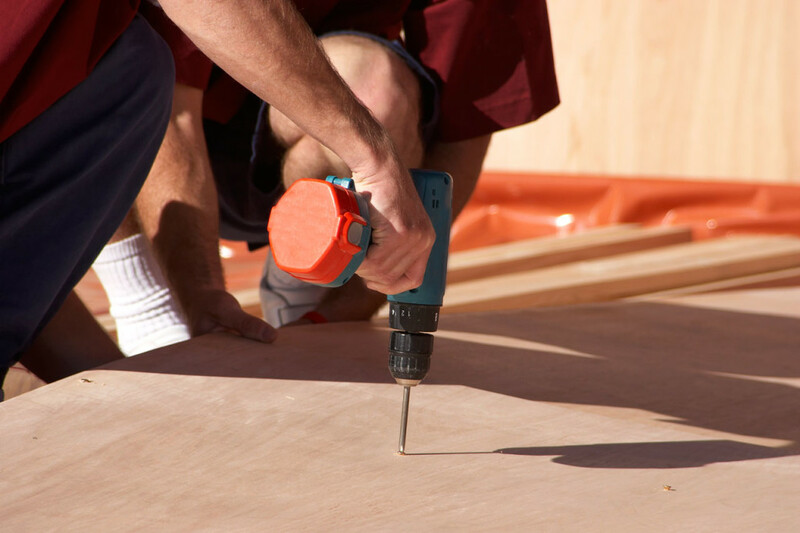 Over boarding is the process of strengthening existing floors using sheets of plywood prior to the application of tiles, which can be very important in older houses, and can prevent the tiles from lifting or damage in the future. If this is something that you require as well as our tiling installation service, please contact us and we will see how we can help. 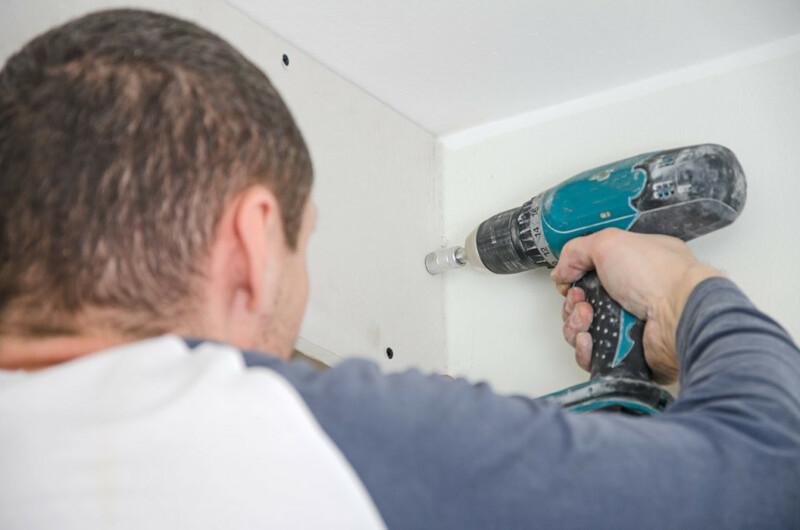 Our experienced team can undertake any wall repair project whether it is the smallest of plasterboard holes to the largest of brick walls rebuilds. We can complete all works to ensure a no hassle project from start to finish. 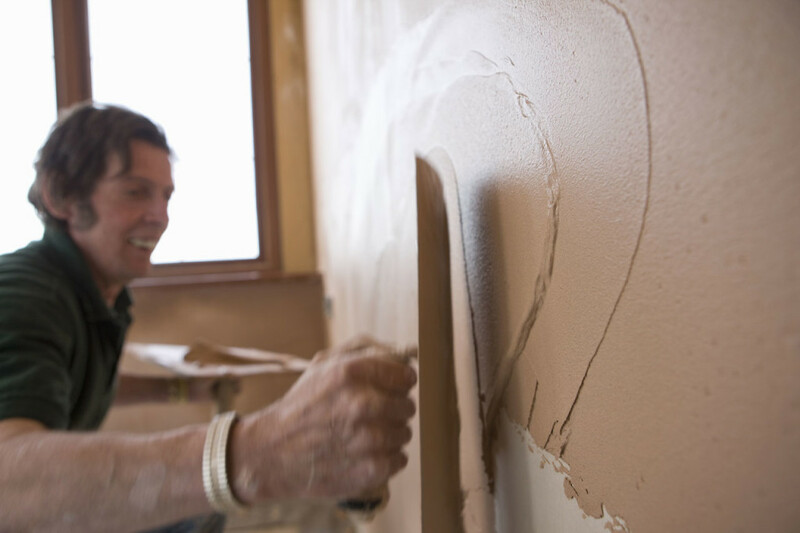 Contact us today and we will use our expert knowledge to assess the surface whether it is a wall, floor or ceiling and advise you on the best way forward.